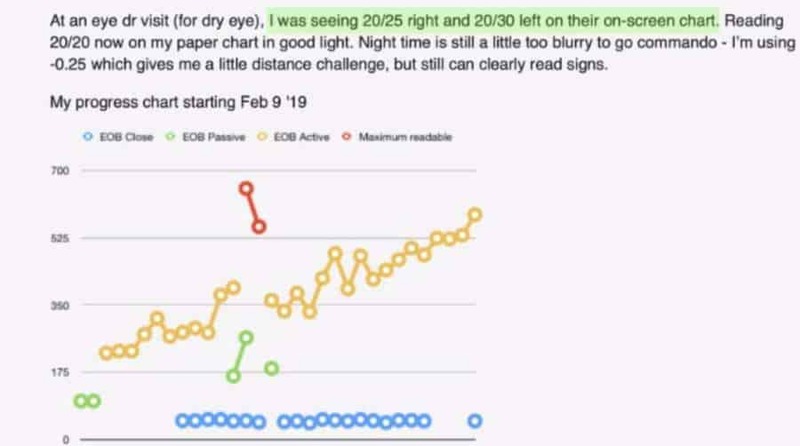 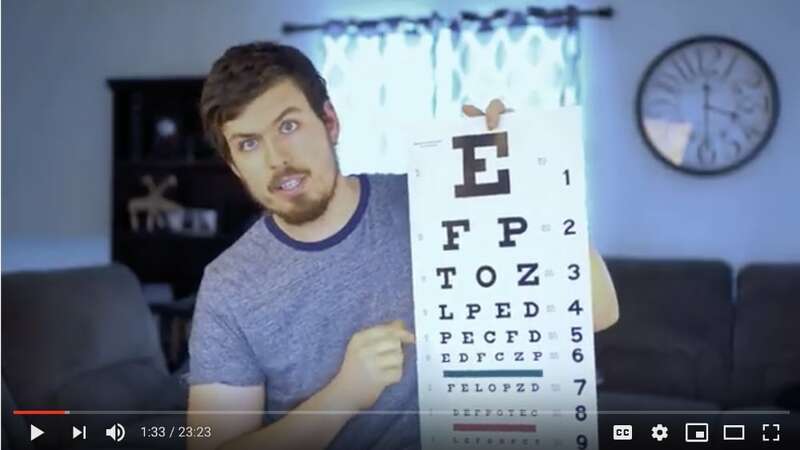 Improving Eyesight - First Hand Success Stories Of All The 20/20 Gains! 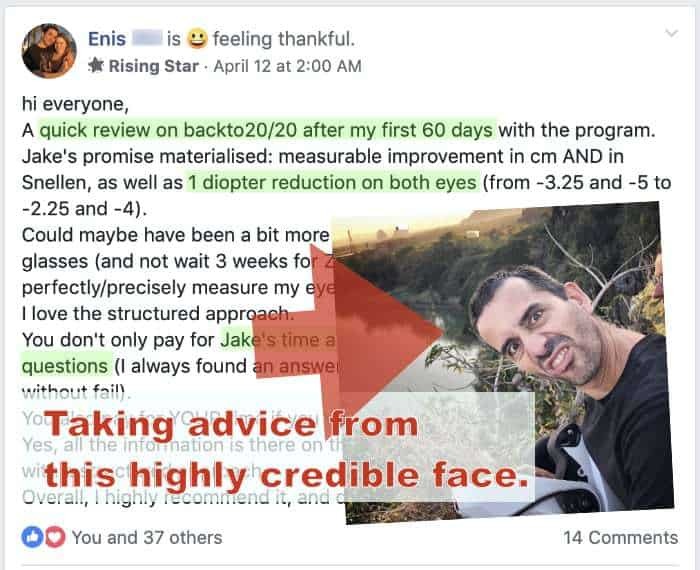 In this section you will find many of our student experiences and vision improvement progress reports (all the way to no glasses reports, here). 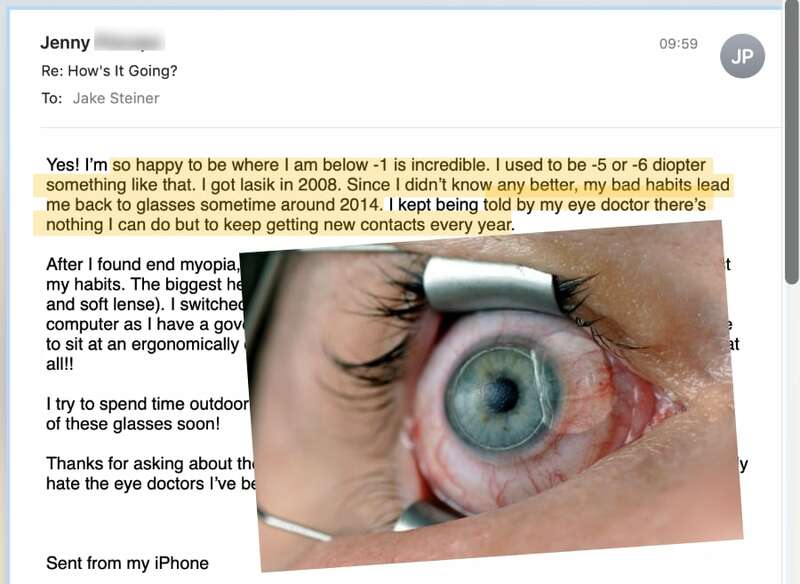 While you are working on improving your own eyesight, you can use these for useful pointers, supplement your own research, compare your own progress, and maximize your motivation. 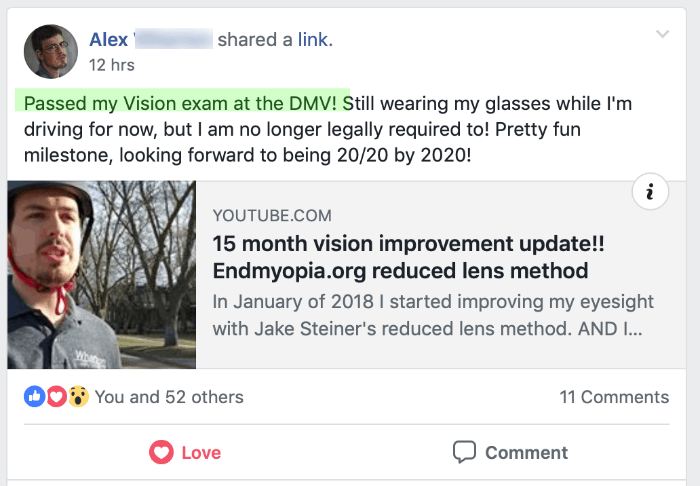 You don’t need to spend your life behind glasses! 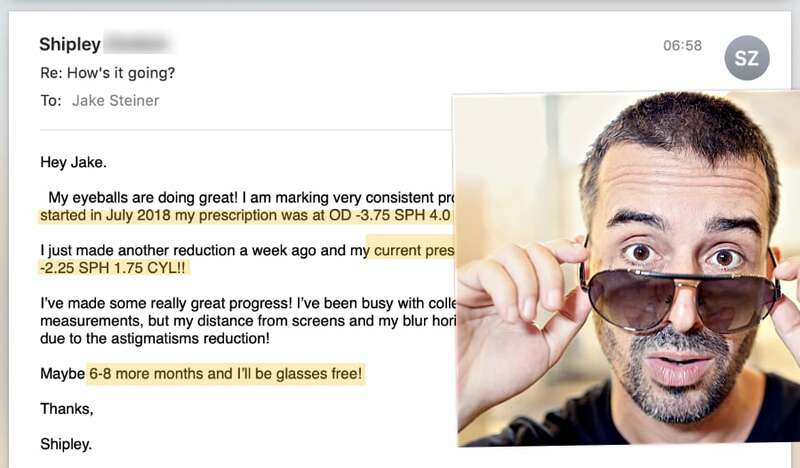 Weekly 20/20 Gains Reports: No More Glasses!